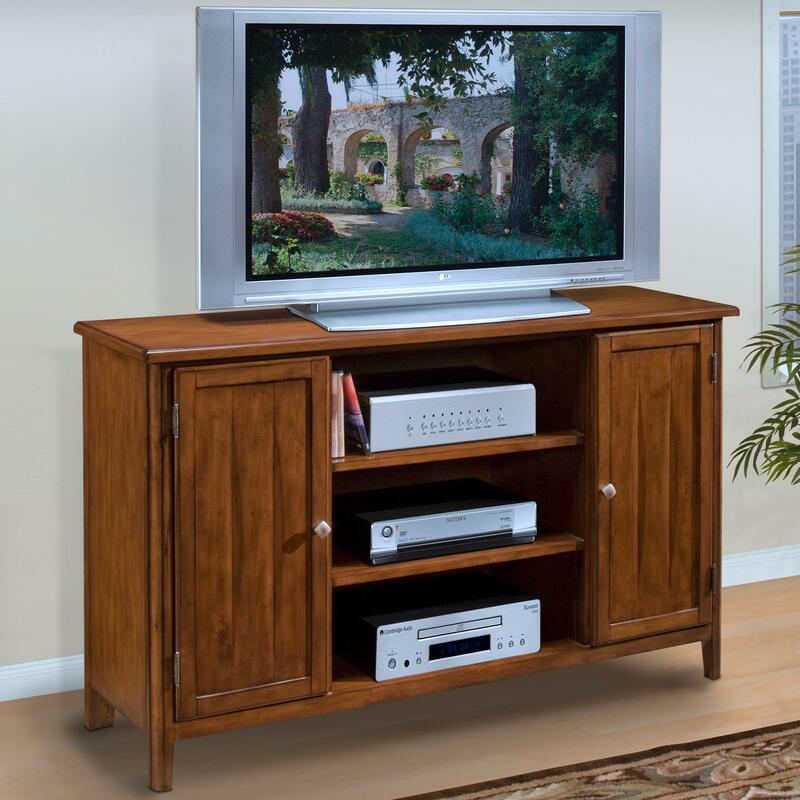 Bring your living room together with the Crestline TV console. Three shelves are ideal for gaming systems and media players while two door compartments offer hidden, organized storage for games, movies, remotes, controllers, and other family room essentials. Place this stand in your den so you never have to miss a game! The versatile bark finish and subtle accent details of this console allow this television stand to accommodate any space. The Crestline Entertainment TV Console with Doors and Shelves by New Classic at Michael's Furniture Warehouse in the San Fernando & Los Angeles area. Product availability may vary. Contact us for the most current availability on this product. The Crestline occasional table collection features subtle case details, hidden storage drawers and a golden bark finished veneer. The collection consists of a lift top cocktail table, hidden drawer end table and 60" entertainment console. The Crestline collection is a great option if you are looking for Transitional furniture in the San Fernando & Los Angeles area.